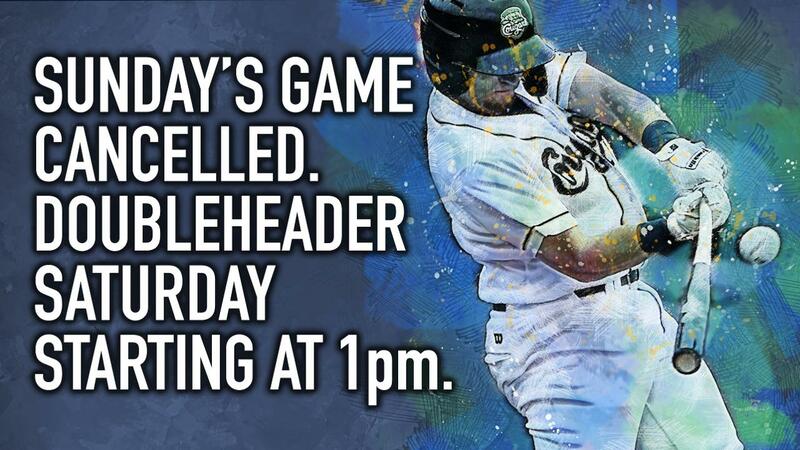 GENEVA, Ill. - Sunday's 1 PM contest between the Kane County Cougars and Peoria Chiefs has been rescheduled due to the wintry weather forecasted. The game will now be played as part of a doubleheader on Saturday, April 13 with game one starting at the regularly scheduled game time of 1 PM. Both games will be seven-inning contests, with game two starting approximately 40 minutes after the conclusion of game one. Tickets for Saturday's regularly scheduled game will be valid for both games. Fans with tickets for Sunday's game are encouraged to call the box office at 630-232-8811 for their exchange options. Tickets may also be exchanged in person at Northwestern Medicine Field.